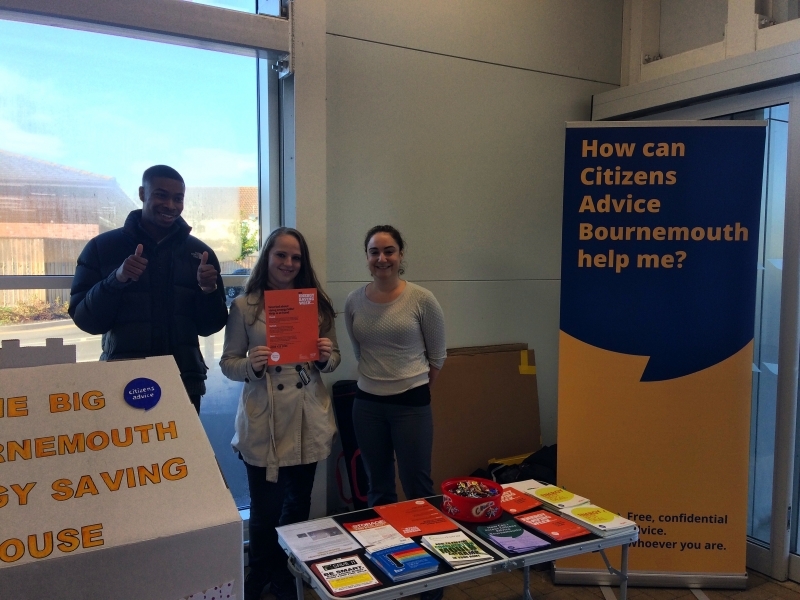 The Citizens Advice Bournemouth’s Research and Campaigns team set up a Big Energy Saving Week (BESW) stand at Tesco in Kinson on 02 November 2016. The campaign explained the benefits to Tesco’s customers of checking their energy costs and switching their tariff’s or suppliers; being efficient with their energy, for example by insulating their homes and by checking their access to programmes such as Energy Best Deal. This year the BESW message is particularly poignant, with the Competition and Markets Authority finding that consumers are paying 1.4 billion a year more on energy than they would in a fully competitive market. It has also been found that some families could save up to £300 a year just by switching their tariff. We believe that that this is an important message that we have been able to pass on to consumers. To help them stay safe and warm this winter. To see how much money you can save Citizens Advice has developed an online tool that helps consumers to compare tariffs.